Grateful for a few quiet days before the new year begins, I reflect on the trials and treasures from 2013 and wonder what 2014 will bring. I encourage you to take time to ponder. If you weave some quiet into your schedule you will hear things you’ve never heard before. You will see things you have never noticed. You will love more because you won’t always be at your frazzled end. Even when the world around you is full of noise, you can be quiet on the inside. Weaving and pondering go well together. All the more reason to weave. 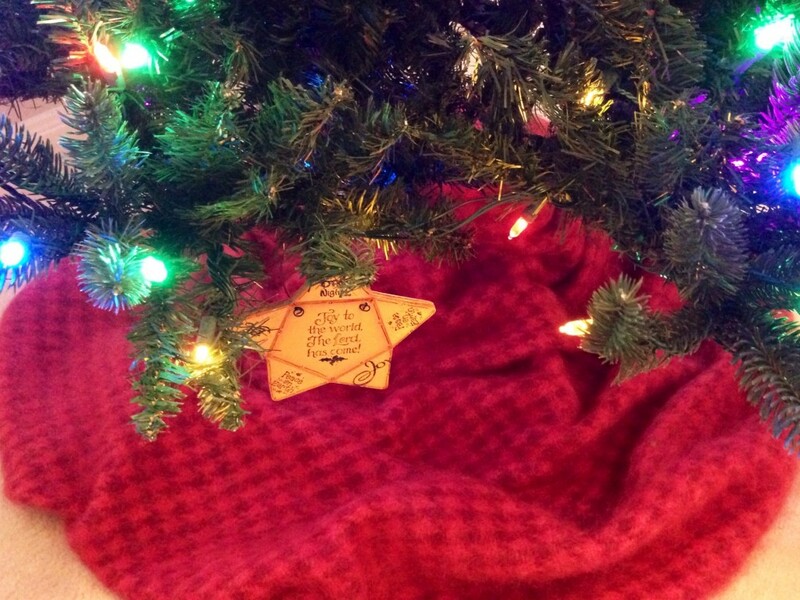 Mohair throw, woven in hound’s tooth twill, creates a soft setting under the Christmas tree. 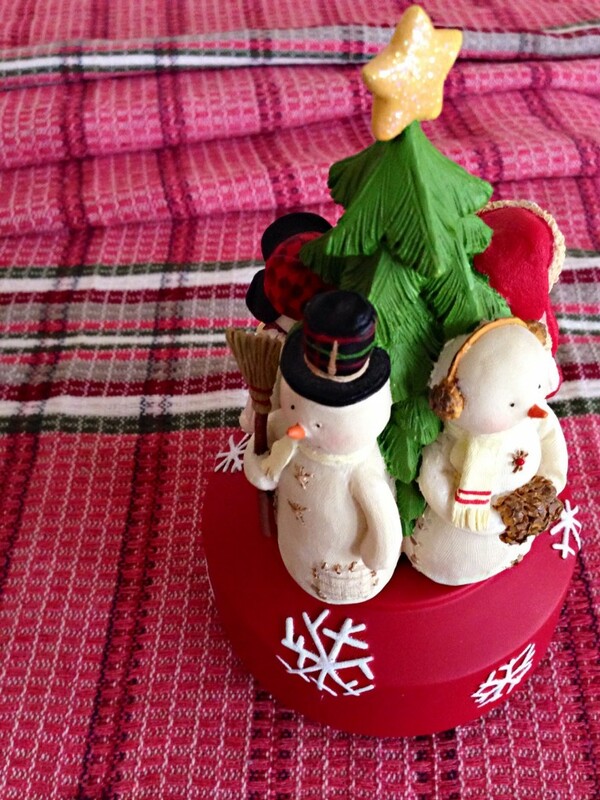 Traditional Filipino cotton towel used as decorative cloth on a side table. 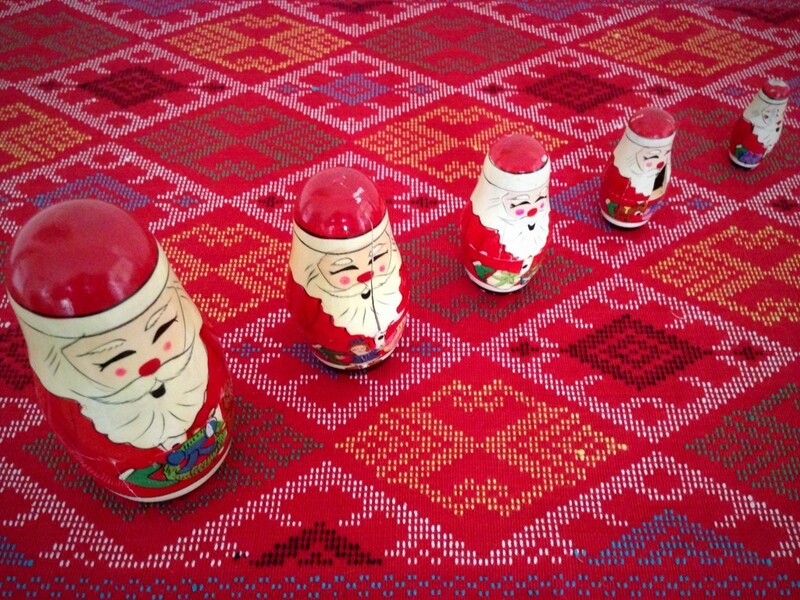 Well-worn and well-used stacking Santas adorn the colorful cloth. The unique Filipino handwoven design of this cloth brings special Christmas cheer to the front room in our home. 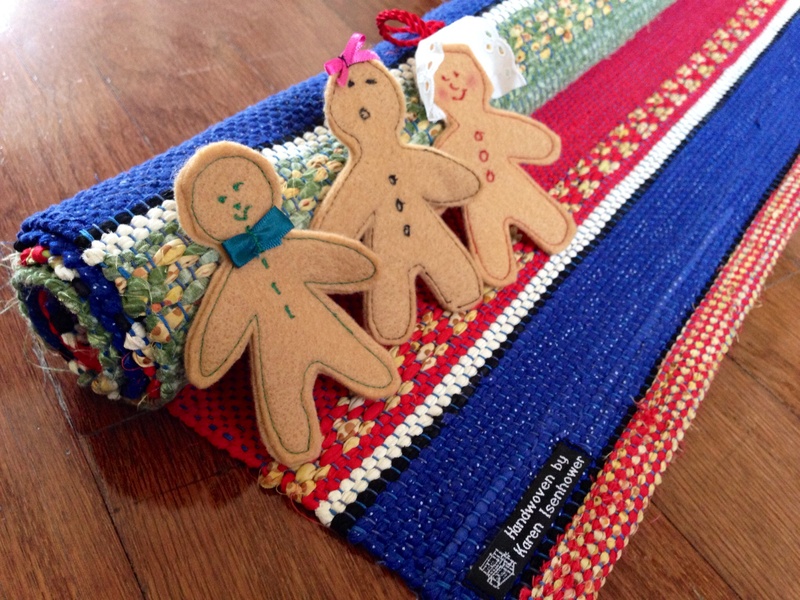 With another Christmas rolled up, gingerbread boy and girls rest on the rosepath rag rug. May your new year bring dreams come true.